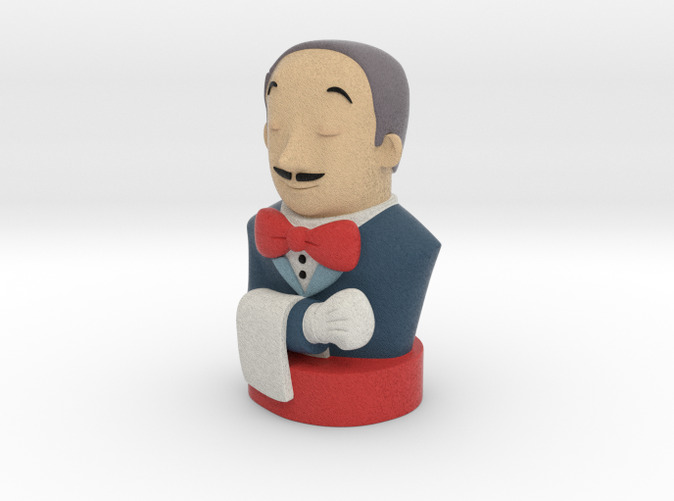 Our beloved butler Mr.Jenkins in full color 3D. 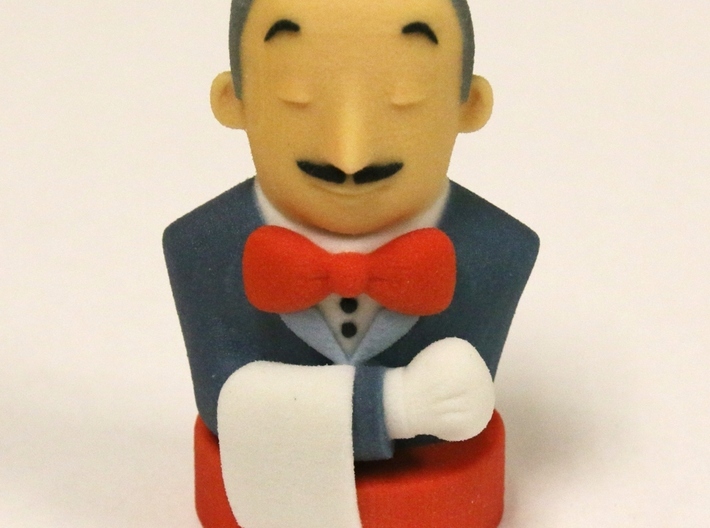 He is instantly recognizable, and a must-have for Jenkins fans! This is a comissioned work done by akiki (https://www.fast-d.com/search/engineers/2798), and as per the license of the Jenkins artwork, the data is available under CC-BY-SA 3.0 at https://wiki.jenkins-ci.org/display/JENKINS/Logo. 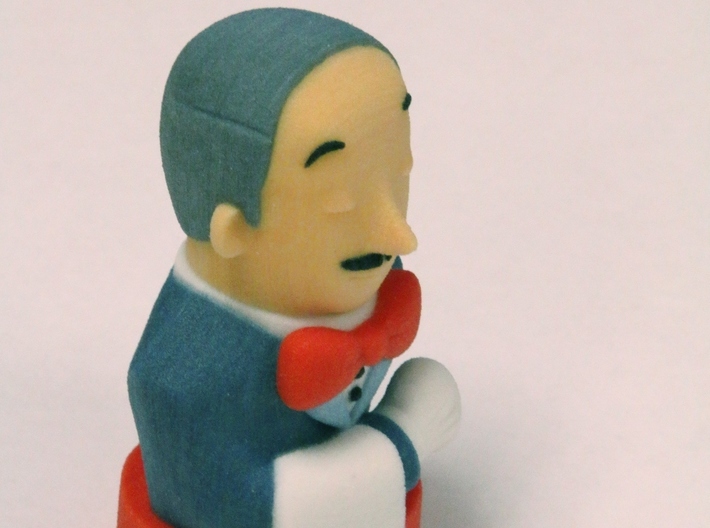 In this v2 version, the model was mirror flipped so that he carries the napkin on his right hand.